Camping on the surface would seem to be a very inexpensive way to have a good time and it is if you are willing to rough it. Not many people head out into the great outdoors however with nothing but a tent and gun to gather food. For most, camping means spending a few bucks to have at least a few of life’s luxuries out in the wild. You can also try these 5 Fun Campfire Games to Play. They are totally free! This can be taken even so far as to pitch a tent in your backyard. Seriously, that is a heck of a lot of fun. If you want to get away a bit further, consider some of your local state parks and wooded areas. Always make sure you are there with permission or that the land is available to you legally. A little bit of investigation in your area can easily reveal several places where local camping is allowed…often times for free. 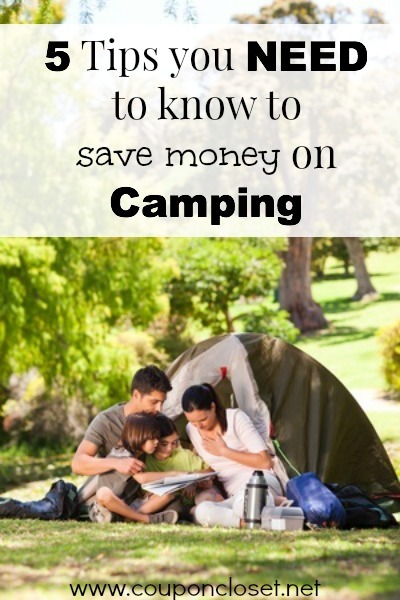 This is one of the BEST tips to help you save money on camping. When you pack your drinks and food in the same cooler, the ice is going to melt twice as quickly. This means that you will have to buy ice much more often and that adds up. Instead, get separate coolers. Drink coolers are going to be opened and closed a ton. Food coolers are rarely opened unless it is time to eat. You will save money on ice, but you your food will also last longer. Since you are rarely opening the food cooler, keeping them separate helps prevent food from going bad faster. That tent with the dazzling gemstones attached to it might sparkle, but it is not going to do a thing for you out in the open woods. In fact, the only thing it might do is draw in some wildlife that is curious about what it is. Designer camping gear is just not worth the money and that goes for stoves, sleeping bags, lanterns and all types of other camping gear. Buy basic and practical and allow yourself to blend into the outdoors. In fact, Colemon has camping gear on sale right now. Nothing saves more money on a camping trip than sharing duties and expenses. If you can get a large group of friends and family to come along and join in, you will no doubt be able to save some cash. Camping is also a bit more secure with a larger group of people. While camping in inherently safe, there are some minor concerns about bears and unsavory strangers wandering into camp. Both are much less likely to show up with a larger group of people. Many people assume they will hate roughing it before they even try it. The truth is, roughing it is extremely liberating and it builds confidence. Kids are really into it most of the time and they gain a ton of powerful skills in doing so. Roughing it also happens to be much cheaper for the most part. Hunt and fish for your food and cook it on the open flame. Pop a tent or build a shelter if you are really feeling Survivorman-like.. Forget the RV and the stove in a bag and live like folks did many moons ago. You will either love it or hate it, but you will never know until you try. 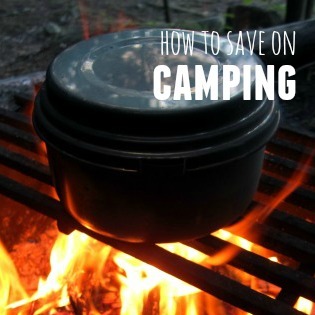 Camping and saving money really go together quite nicely if you are willing to settle for the simple things. These were my top 5 tips…. 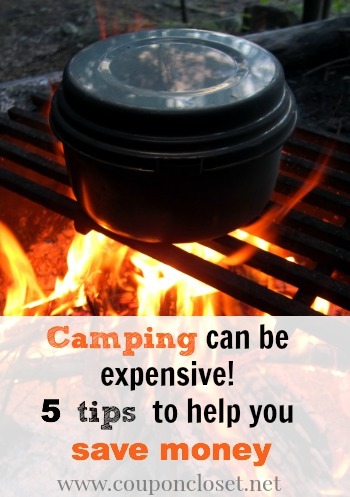 What tips to do you have to help save money on camping? Freeze large blocks of ice for your coolers! Use Tupperware, fill and pop in the freezer. Put them in your coolers along with some bagged ice. The larger blocks melt slower and will remain even after a few days of camping! Pack what you can in zip top bags so they stay cooler easier. Also freeze any foods and drinks you can before you pack the cooler!